ENCORE! PRAGUE ... and Vienna! 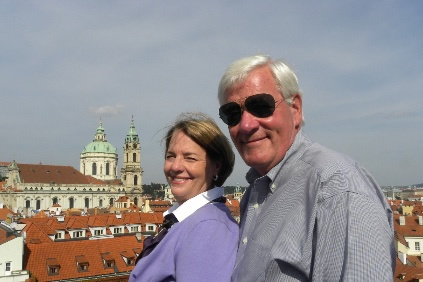 Our 2014 autumn "getaway" to Prague was a huge winner and we are thriilled to be able to offer it again this year! If you have heard about this trip from friends, rest assured that we have reserved rooms at the same hotel they appreciated so much - "location, location, location! 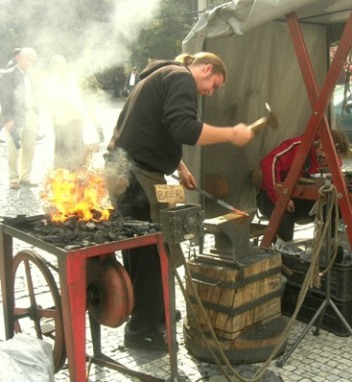 - enabling you to enjoy the same experience that gave them so much pleasure, from the moment they arrived in Viennathe ideal place to begin an insightful exploration of Prague, given the close historical and cultural connection of these two beautiful cities. 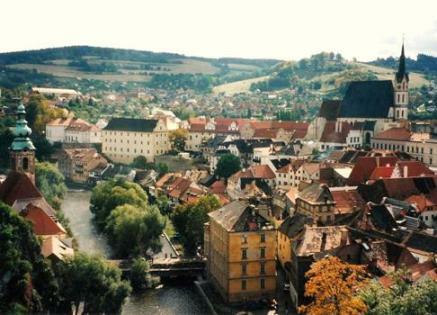 Between them, near the Austrian border is enchanting Český Krumlov, in its entirety a UNESCO World Heritage Site. city special: a stunning natural setting along a river dominated by a great castle; a vivid history; a magnificent cathedral; lively open squares; narrow winding streets; literally hundreds of historic houses; centuries-old spires piercing the sky; formal gardens; inviting restaurants; and wonderful music. Once again, our unrushed sojoum will take place during the renowned Dvořák Prague International Music Festival, which draws outstanding performers from all over Europeand our top first-class "boutique" hotel for six nights, overlooking the Vltava River and the Charles Bridge, is situated comfortably among Prague’s most outstanding concert halls and theaters! Prague - Charles Bridge and Staré Město, "Old Town"
In recent years, there have been exciting restorations in Vienna, enabling visitors to take in the fabulous art collection in the Albertina and to enjoy dining in the former Imperial Greenhouses, very popular with the localsall within easy walking distance of our hotel! 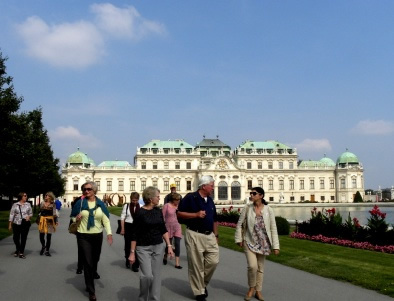 Our distinctive small group tour will begin in Vienna on the afternoon of Saturday, September 12th, at our top first-class hotel in the heart of the old city, founded by the Romans on the banks of the Danube River in the latter half of the 1st Century AD. In fact, excavated Roman walls and foundations can be seen today, just outside the entrance to the Hofburg, the former Imperial Palace of the Habsburgs. Among the highlights of our three full days in Vienna, in the company of our top-notch Austrian local guide, will be a tour of the breathtaking Schatzkammer – Imperial Treasury – which contains some of Europe’s most precious objects, such as the crown of the Holy Roman Empire. 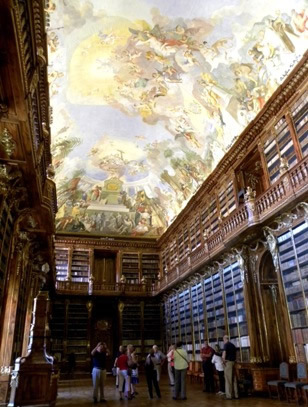 We'll also take in the awe-inspiring Court Library, famous for its superb collection of Renaissance globes. 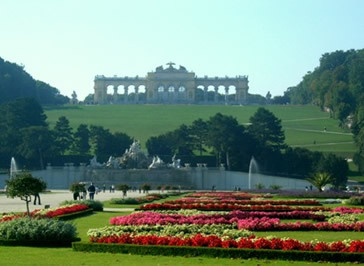 Schönbrunn Palace Gardens Of course, no visit to Vienna would be complete without taking in the magnificent Schönbrunn Palace and its grounds, on the outskirts of the city. full of surprises, including sophisticated contemporary architecture in the midst of historic buildings, a testimony to the city’s continued vibrancy. On Wednesday, September 16th, we"ll travel through the peaceful Waldviertel ("forest quarter") north of the Danube, along the same route that Mozart traveled in 1787, from Vienna to Prague. This remote area of northern Austria, little touched by tourism, is a land of wooded hills, castles, sleepy villages, farms, abbeys, and beautiful historic churches spanning centuries. 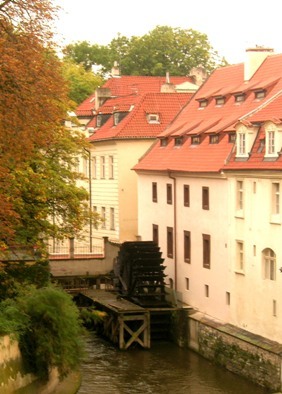 Our destination, a short distance across the Czech border, is enchanting Český Krumlov, a medieval-Renaissance town in a remarkable state of preservation, hence its designation in 1992 as a UNESCO World Heritage Site. 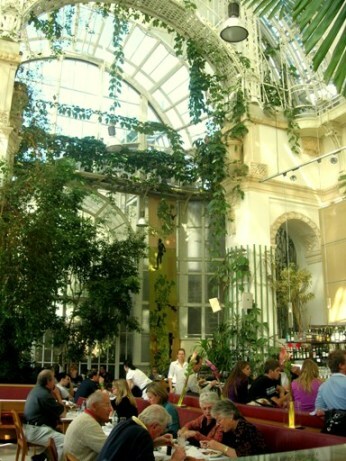 Situated in a loop in the Vltava River, it is a delight to explore. 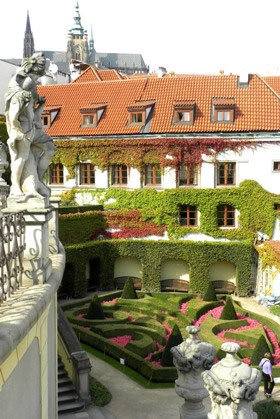 Our first-class hotel (for two nights) – in a building dating back to the mid-16th century – is near the Zámek (Castle), an amazing feat of architecture, representing several centuries of rule by noble families that made Český Krumlov the center of their economic empire in Bohemia. 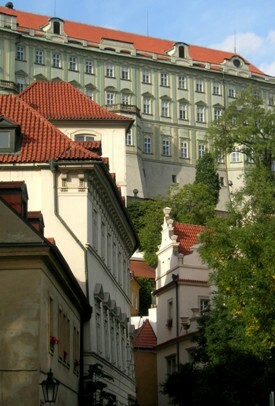 Among them, the Rožmberks (1302-1611) discovered silver in the nearby hills, established a mint, and transformed the Castle into a splendid Renaissance residence, today filled with an impressive collection of decorative arts. 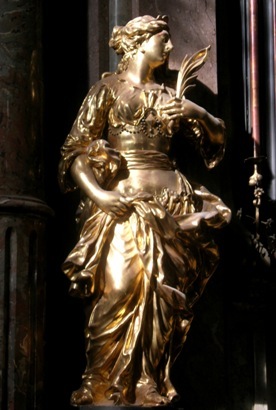 In 1748, the Schwarzenbergs commissioned a painter to transform the Castle’s Masquerade Hall into a trompe-l’oeil fantasy of 18th century Carnival characters.Of great importance is the Castle Theater, the most completely preserved Baroque theater in the world! 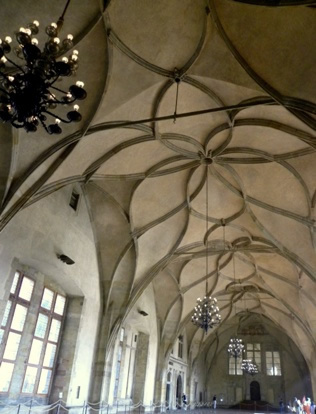 On our journey north on Friday, September 18th, we’ll pause to explore the old Hussite town of Tabor, with its expansive main square lined with meticulously restored Renaissance and Baroque houses, their adjoining roofs creating a horizontal zig-zag against the sky. 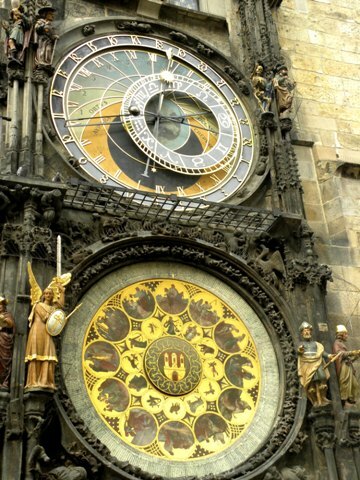 Our well-appointed hotel is superbly located for exploration on foot of Prague "Old Town"  Staré Město, the nucleus of the city  with its iconic landmarks, such as the double-faced Astronomical Clock on the façade of the bell tower of the Town Hall. 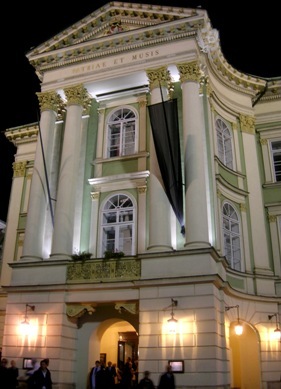 Also within easy walking distance of our hotel is the Estates Theater, where Mozart’s “Don Giovanni” was first performed in 1787. 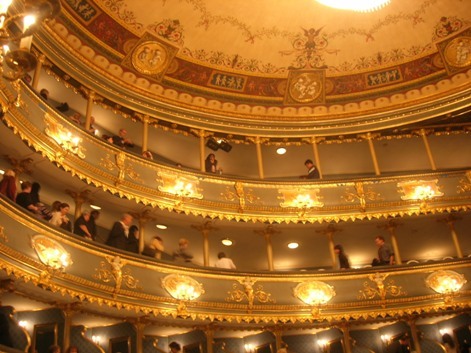 We plan to attend a performance in this historic theater—a truly memorable experience! 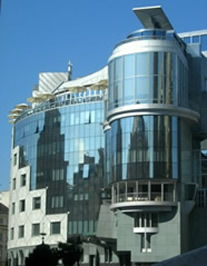 No other city in Europe has such a wealth of unspoiled architecture from so many periods, from the early Middle Ages to Frank Gehry’s wonderful “Dancing House”, shimmering on the river bank amidst a row of handsome Art Nouveau residences. 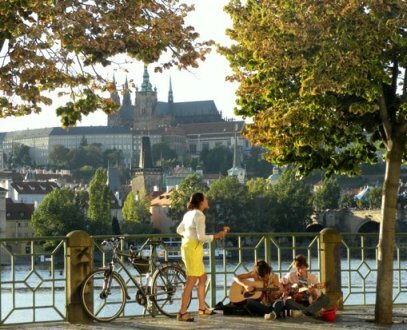 Prague is one of the most beautiful cities in the world, and enjoyment of its riches – and the friendly atmosphere of its cafés, restaurants, pubs and wine bars – takes time. We'll spend the next several days enjoying an unrushed and below-the-surface exploration of “The City of One Hundred Spires" by way of a series of meticulously-planned walking tours in the expert company of our outstanding and welcoming Czech guide, a native of Prague, with whom we have worked for 20 years and who has endeared herself to many past travelers! 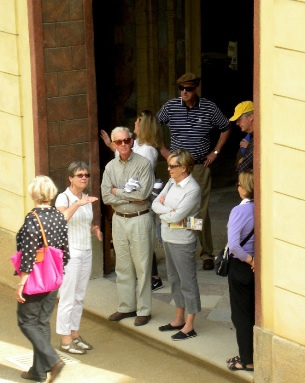 In the luxury of a small group, you will discover hidden corners of Prague that you very likely would not find on your own, as well as gain insight impssible to find in a guide book. 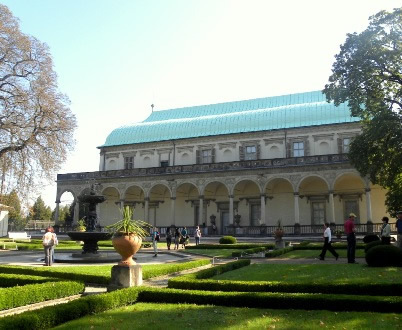 Not to be missed while strolling through Malá Strana are several attractive gardens, which one by one have been restored over the last two decades, since "glasnost". The amazing historic center of Prague actually comprises four formerly independent towns that were joined together in the late 18th century. Nové Město ("New Town"), south of Staré Město ("Old Town"), established in the mid-14th century by native son and Holy Roman Emperor Charles IV, is a superb example of medieval urban planning. Across the Vltava from Staré Město, and linked to it by the magnificent, pedestrian-only Charles Bridge, is Malá Strana ("Lesser Quarter"), a delightful maze of narrow streets and aristocratic palaces built after a great fire destroyed the original town in 1541. It is no wonder that many embassies are in residence here today. 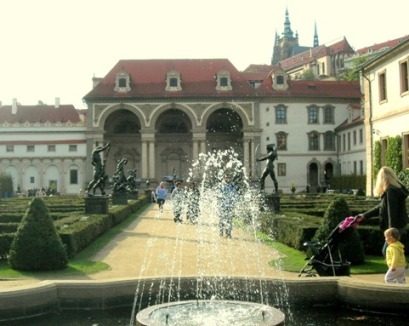 Towering above the mansions and gardens of Malá Strana is Hradčany (“Castle District”), dominated by the delicate spires of the magnificent St. Vitus’s Cathedral, within the vast walled Prague Castle complex, which has a thousand-year history. Here, an expert guide is indispensible! 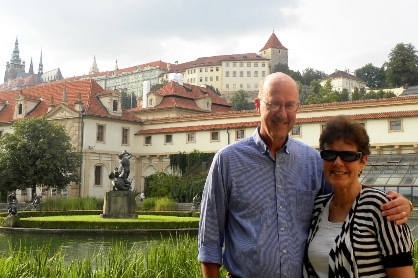 Outside the castle walls, we’ll find what are arguably the best examples of Italian Renaissance architecture north of the Alps, more gardens, and breathtaking views of the city—and we’ll be treated to a special, behind the scenes visit to the extraordinary Strahov Library, which dates back to the late 18th century, when Mozart worked in Prague. 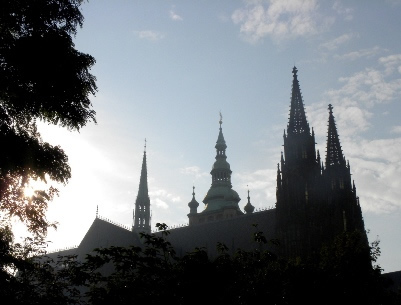 Music plays a major role in Czech culture, and our unique sojourn has been timed to coincide with the critically acclaimed Dvořák Prague International Music Festival, which we will attend on one evening during our sojourn. 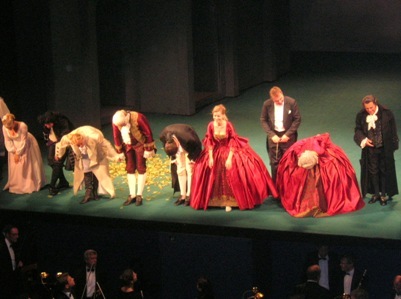 You may also wish to take in an additional performance on your own—easily done, given the proximity of our hotel to concert venues. 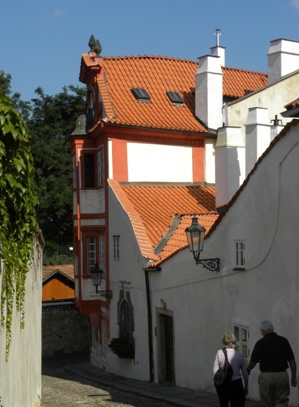 Prague also begs to be explored serendipitously, and there will be time during our stay for just that! Whether it be to have a coffee in an Art Nouveau period kavarna, or to wander this fascinating city’s enchanting back streets, there is always something memorable awaiting to be discovered in Prague! 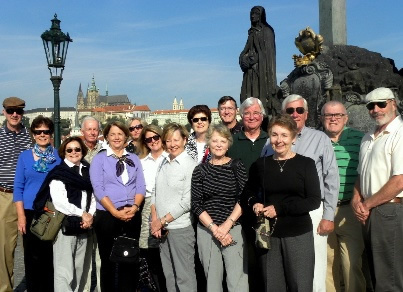 Our singular small group tour will conclude at our hotel in Prague on Thursday, September 24th after breakfast, with individual departures for the airport – just minutes from the city center – thereby facilitating individual air travel schedules. 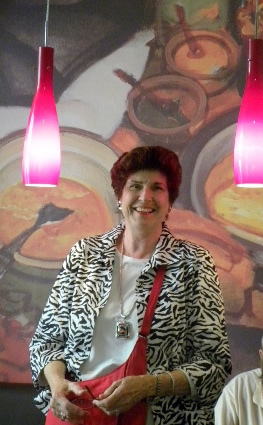 Throughout the trip we will enjoy delicious regional cuisine, with menus for our meals together arranged personally. 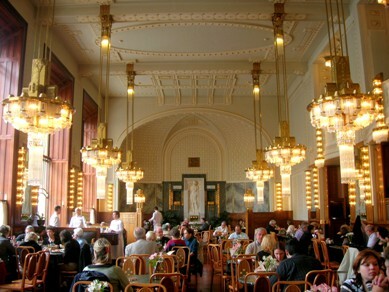 There also will be opportunities for you to dine out on your own, to try out the variety of restaurants and brasseries in both Prague and Vienna. 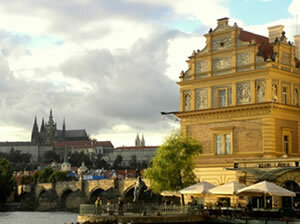 Not to be missed, of course, is the renowned Czech Pilsener – perhaps at a table overlooking the Vltava River! – and fine Austrian and Czech wines. To ensure the highest quality experience for all tour participants, space will be limited to a maximum of 15/16 persons. Be sure to include all of your contact information! 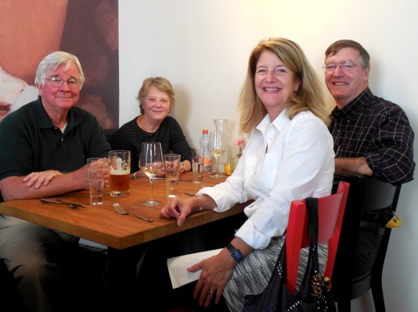 …and if former travelers recommended us to you, please include their names! and Vienna! trip. Some were taken by the participants and we thank them for sharing them with us. What a wonderful, congenial group! An unrushed itinerary full of hidden "jewels"! 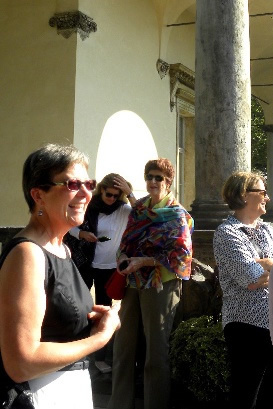 Travel Designs small group tour! 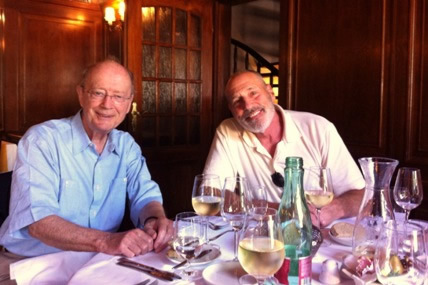 Our itinerary - carefully planned to combine unique visits, marvelous concerts, and great regional cuisine with serendipitous, on-your-own exploration and individual festive moments - is perfect for celebrating a special anniversary or birthday, or recent retirement.